See what’s new with Service Cloud. The Spring ’18 Release is here. 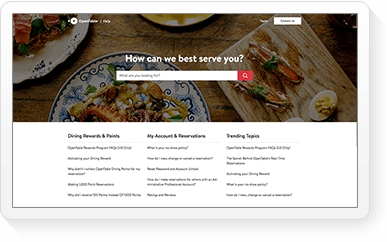 Check out all our latest features. 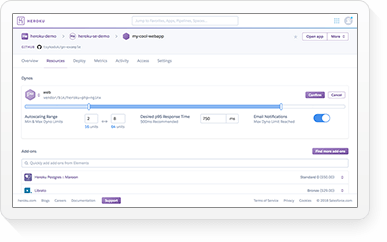 Deliver faster service with accelerated Quick Actions in Lightning, new Workspace Components, and expanded Field Service Lightning features on the world’s #1 customer service platform. Take action on multiple cases, lightning fast. 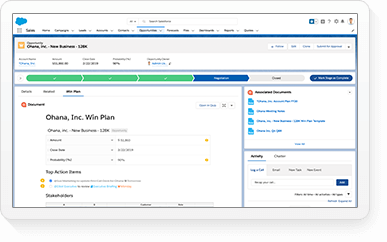 Now in Spring ’18, give your agents all the tools they need to take action and respond to customers across multiple records at one time. On Cases, Leads, or Custom Objects, agents can use mass Quick Actions to create and update records, saving time. Deliver omni-channel service in three simple steps. 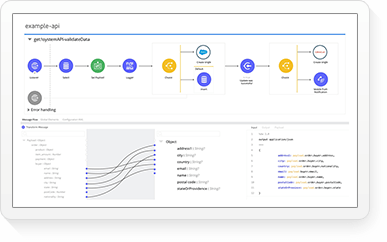 Easily configure Service Cloud to intelligently route cases to agents based on their skill set, availability, and capacity in three guided steps. 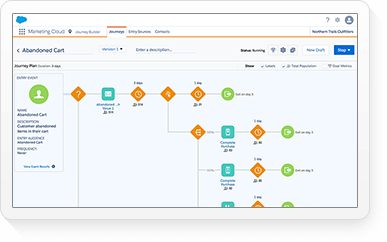 Omni-Channel Setup Flow makes it easy for admins to set up multiple queues so agents can sit back and wait for the cases to roll in. Put the right information at your agents' fingertips. 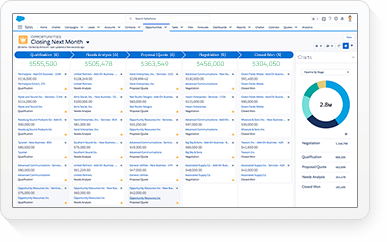 Personalize every customer conversation by giving agents the right information as they work in the Lightning Service Console. 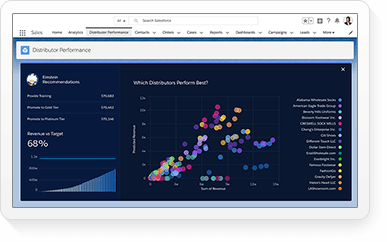 Empower agents to personalize service and close cases faster by displaying critical case information while viewing other tabs in the console. Empower agents with full social context for every customer, at a glance. 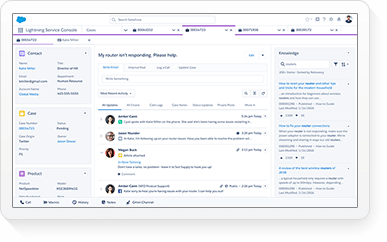 Take your social customer service to the next level with more customer visibility than ever before, right in the Lightning Service Console. Agents can easily personalize customer conversations and close cases faster with at-a-glance details about a customer's social persona, previous conversations and interactions, sentiment, and influencer status. 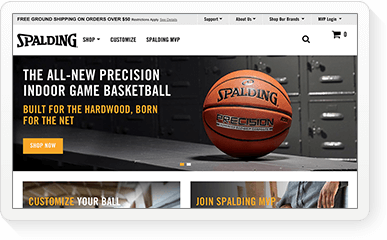 Ensure brand consistency with the full power of chat customization. Take full control of your Web Snap-ins chat experience and match your company's unique branding with Lightning Components. 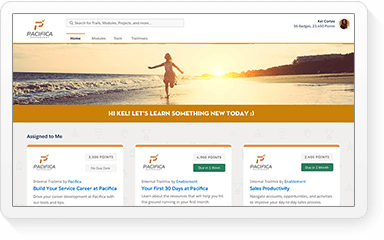 Now in Spring ’18, customize the pre-chat form and use direct-to-button routing, automated invitations, and sensitive data rules to ensure you're delivering a personalized experience to your customers. Simplify the process of returning or repairing products for customers or mobile workers. 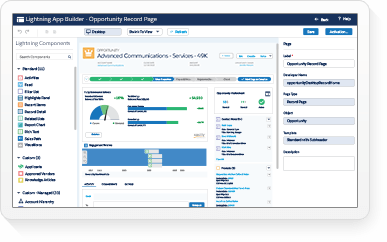 Empower customers to initiate returns from a community, and empower agents to create return orders based on customer or mobile worker requests — including details about the products being returned. Easily schedule the right crew for the job. Easily define and schedule teams of mobile workers, saving time and ensuring the right set of experts are on the job. Define crew members, and review and assign skills to ensure that every job gets done right, the first time. 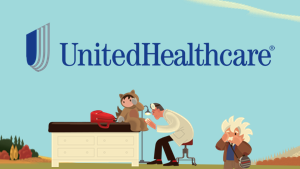 Get started delivering service in the field on the right foot.